www.sv2s.com • View topic - Factory Rebuilt? 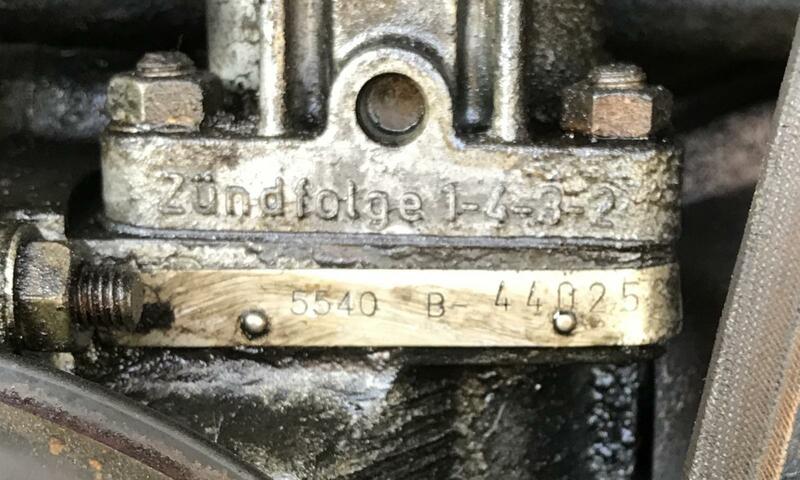 Got this engine with a "restamped" serial number. It is complete and runs. Is it a factory rebuilt? 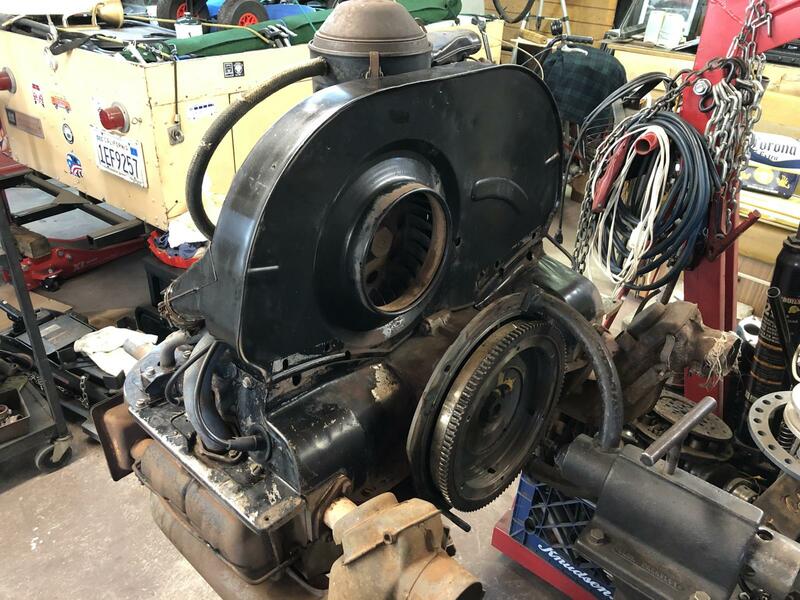 Post subject: Re: Factory Rebuilt? 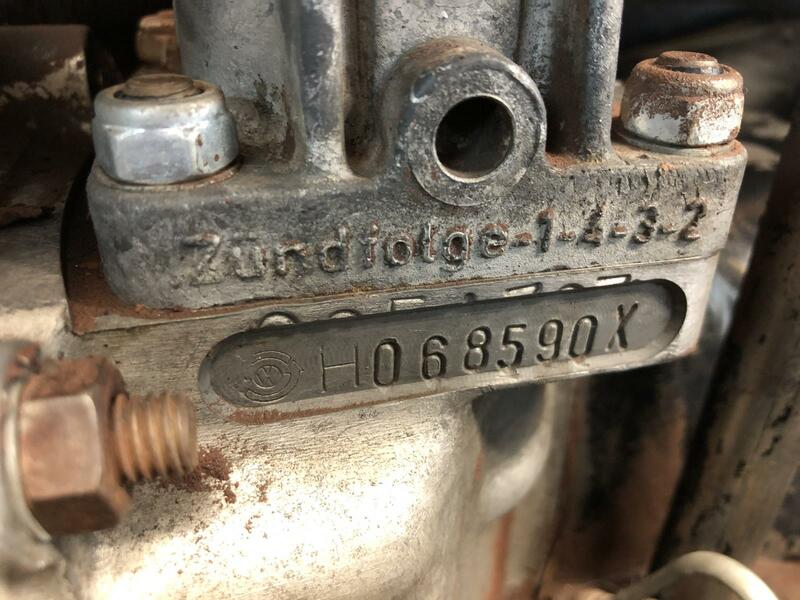 I have seen comments on The Samba that factory rebuilt engines got a new ID number; either machined/stamped in or a metal tag riveted over the old number. 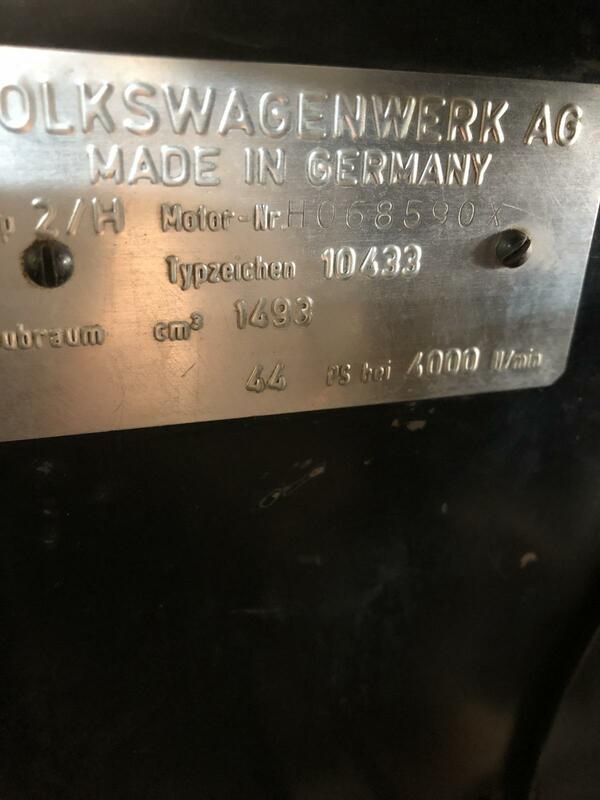 The engine that came in our '69 had one of the metal tags. I have also heard that that recycle symbol indicated a factory rebuild - maybe from Canada???? I suspected as much, thanks! I will be selling it. The motor came out of the bus I’m working on which was last tagged in 1996. Even full of dirt, in fired right up! I pressure hosed it down. I’d also be guessing that according to the tag it is a 1500, correct? Well maybe was a 1500, but who knows what is there now. 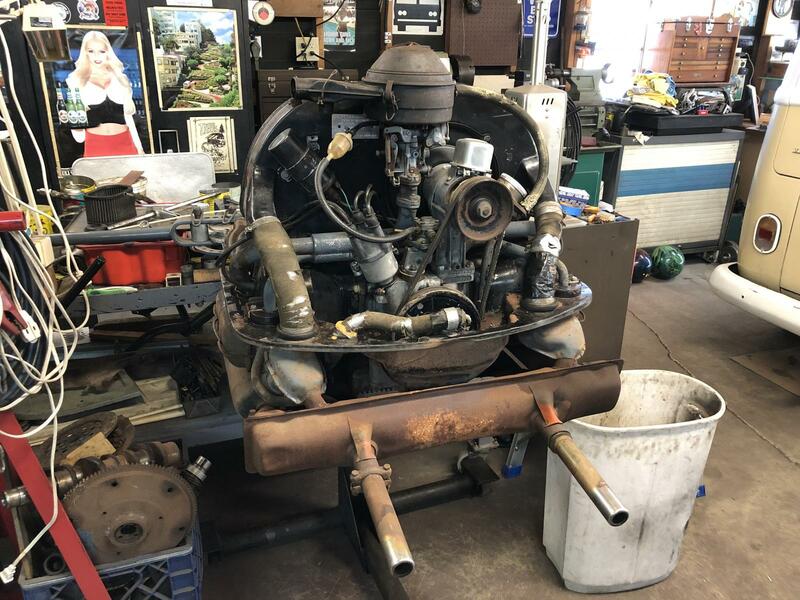 Years ago a long time engine builder told me that he rebuilt "dozens" of 1500s and all of them became 1600s...or larger. I am meeting with P.A. 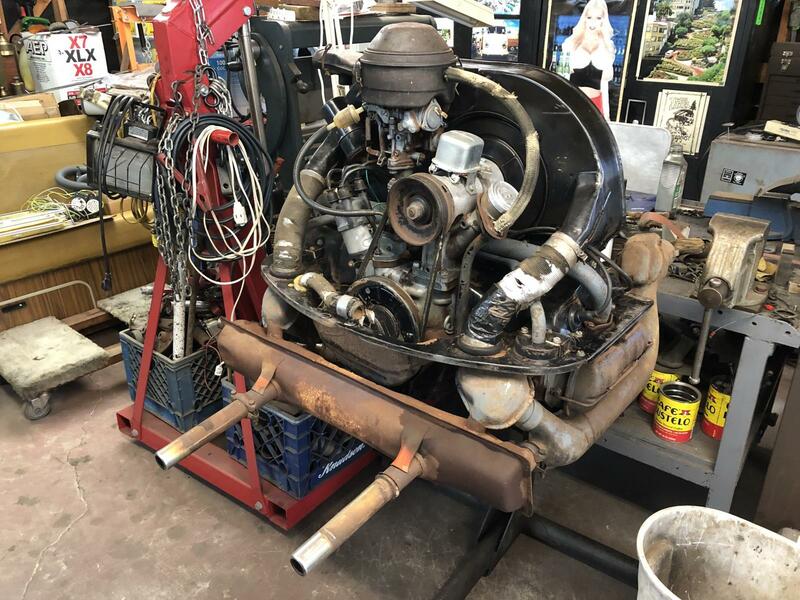 's group tonight...I'll ask around and see if anyone is looking for an engine. Ballpark price? P.S. Your items are available anytime today. When I bought my 65 camper 20+ yrs ago it came with a stamped tag in place of the case number. I bought it from Mike's VW when he was on Adams Ave. he said the engine came from Sweden! I have never split the case, I have done a top end. I have driven that thing all over the place. I put it in the SC years ago, still working fine, but really tired now!! That's all I know, well I might know a little more! Was that camper in OB a few days ago? We were walking on Newport and someone in a light colored Split honked at us. Could not tell who it was. I was in OB yesterday, Tues., however, I don't recall honking at anyone, I did have a blue bay bus follow me for a bit then they turned! Were you in the bus or walking? It was Saturday, and we were walking. There are 3 nice blue Bay buses in our hood. These were exchange engines that were rebuilt overseas. Dare I say like a GEX, but a much better quality. Mine was probably a Vege-Motoren European rebuild, sold in the US by ATK. Neither companies do our engines any more, but did back in the day.